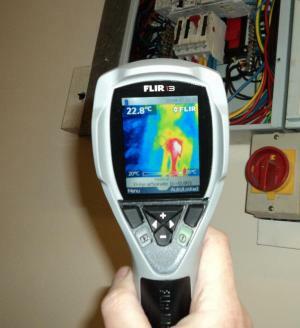 Thermal imaging is one of the most valuable diagnostic tools for predictive maintenance. By detecting anomalies often invisible to the naked eye, thermography allows us to identify problems before they happen. Using the latest FLIR technology Elec cert's specialist thermographic engineers will carry out a survey while all equipment or services are 'under load' or being used without the need to shut down services and with minimal disruption. The quality images are then stored, and downloaded to specialist analysis software, after which your advisory report is prepared giving a list of any maintenance recommendations.